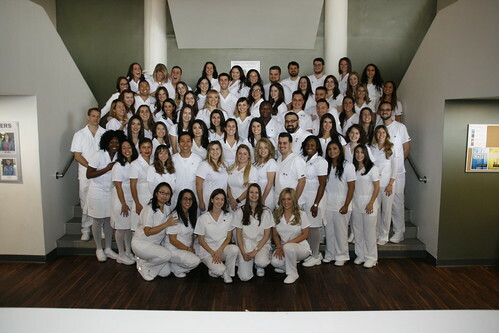 Congratulations to the 73 graduates from the Evelyn L. Spiro School of Nursing's second-degree BSN program, who earned their nursing pins at a candlelight ceremony on Thursday, Dec. 14. Click on the slideshow, and move frame-by-frame through the show. When you find an image you want to download, select the "download" arrow in lower right corner, and pick "Original" for the highest resolution image. The photo will be downloaded to your phone, tablet or computer.